We had, somewhat naively, planned to go on a camping trip last week, but as the full miserable force of the wettest British summer in living memory continued to unfold, we decided on a change of course. And as it turned out, we ended up heading to Gloucestershire to treat ourselves to a short stay at Cowley Manor, a luxury Cotswolds hotel, perhaps best known for its award winning spa facilities. To be honest we just knew that we were going to love the place the minute we pulled into the long sweeping drive, a feeling that was consolidated when we discovered that the hotel had very kindly upgraded us to their best room. We arrived early and our room wasn't quite ready so we headed straight over to the spa, located in a sheltered sunken spot that the friendly receptionist assured us was a sun trap. She was right. Soon we were outstretched on the sunloungers, cocktails in hand, practically pinching ourselves at our good fortune to be able to take full advantage of it on virtually the only warm and sunny day we've seen in weeks. Not that the weather really matters at a place like Cowley. There is plenty to do (or indeed choose not to do as the place seems to induce an overwhelming sense of relaxation) and besides the glorious heated outdoor pool there's also a stunning 17 metre slate lined indoor pool. If you've forgotten any of your spa essentials you can pop into The Village Shop which stocks Heidi Klein, Anya Hindmarch and J Brand, alongside jewellery, moleskine notebooks and Cowley Manor's own Green and Spring products for bath, body and face. ...and this was the view. Note the absence of rain! 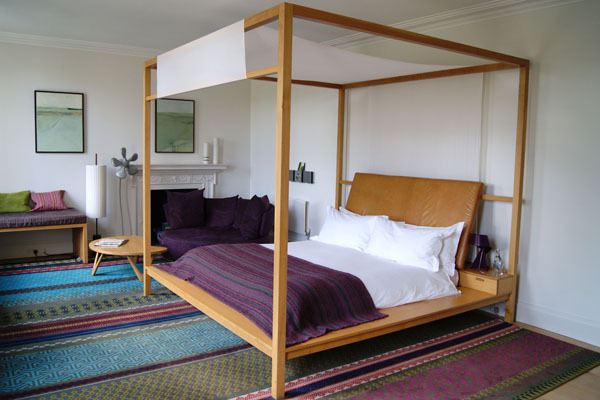 We particularly loved the textiles by Govindia Hemphill, who designed the carpets, rugs, curtain fabrics, cushions, bedding and throws, working on both the initial design of the hotel in 2001 and a refurbishment in 2008. 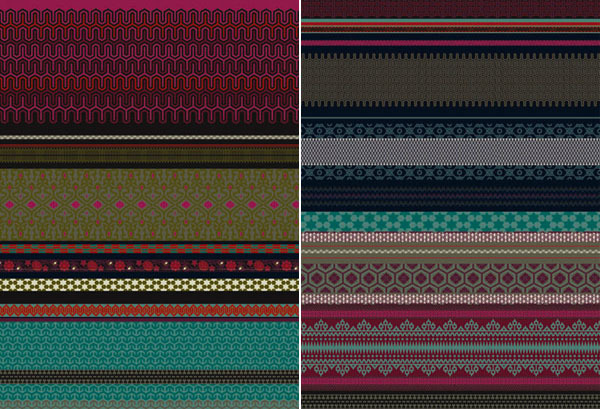 The collection was inspired by traditional textile techniques and crafts including patchwork, needlepoint, cross-stitch and quilting. The furniture was designed by Kay & Stemmer who trained and met at Parnham College in Dorset where they studied fine cabinet making and furniture design. They were commissioned to create a series of one-off pieces for Cowley Manor to reflect the strong Arts and Crafts heritage of the Cotswolds by hand-making furniture from natural materials. As this is a design blog not a foodie blog, I often skim over the food details when I write about places we've visited, but we loved the food at Cowley Manor. Like the hotel itself, it was everything we wanted it to be - unpretentious, well presented and impeccably served by attentive but unobtrusive staff. In fact, pretty much everything about the place exceeded our expectations. The gardens at Cowley are grade II listed and extend over 52 acres of gorgeous rolling countryside surrounded by parkland, woods and meadows. They include several springs, small lakes and lots of water features. You can pick up a map of the gardens from reception and borrow a pair of Hunter wellies from outside the front door. This summer, visitors can also enjoy a sculpture exhibition by students from the Royal College of Art. Of 27 submitted concepts, eight students were awarded funding to bring their designs to life. 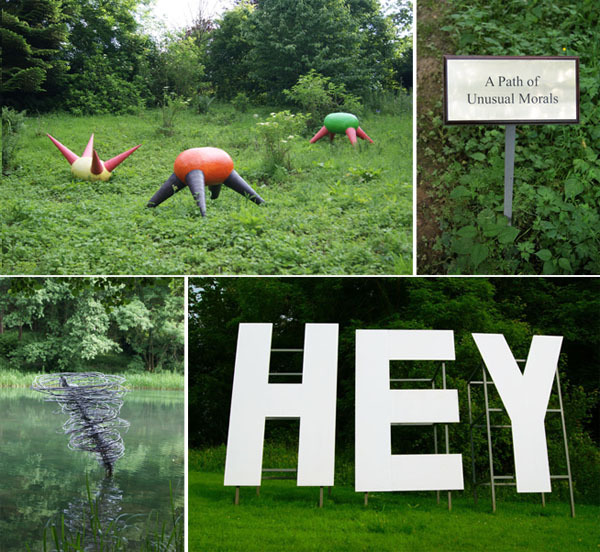 The designs can be viewed throughout the grounds until 30 September and the winning sculpture 'Hey', a three metre-steel sign by Korean artist Wonwoo Lee, will remain in place permanently. Aside from the design details and the beautiful location, what really sets this place apart is the staff. Young, friendly and professional, they were, without exception, absolutely faultlesss in their attention to making our stay as perfect as it could possibly be. 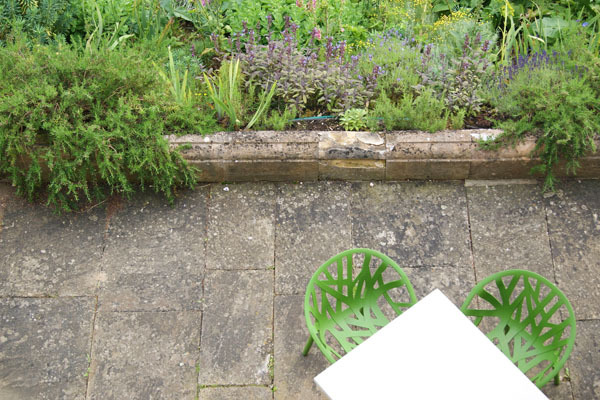 Unlike some formal, hushed country hotels where you feel that you have to be on your best behaviour, the vibe at Cowley is relaxed, informal and decidedly unstuffy. Although we've been lucky enough to stay at some fabulous places, there aren't many that we'd necessarily choose to return to for a second visit because we enjoy exploring and discovering new places, but I can't wait to plan another trip to Cowley. The combination of a friendly, welcoming atmosphere, great service, beautiful grounds and perhaps, above all, the lure of the stunning spa facilities have made Cowley Manor my new gold standard. The next place I visit will have a lot to live up to. The RCA Sculpture Exhibition is at Cowley Manor until 30 September 2012. 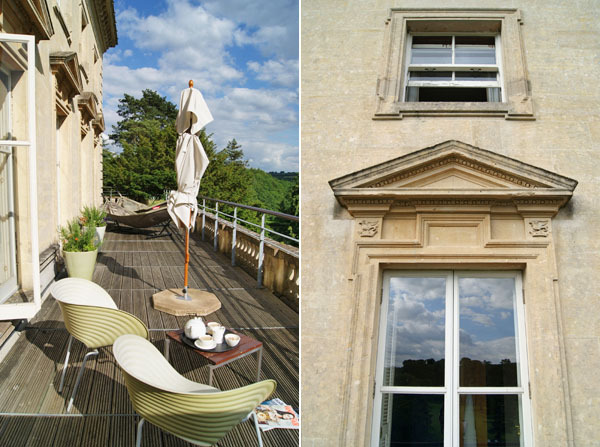 Images: Spa & Dining Room photographs - Cowley Manor; textile patterns - Govindia Hemphill; all other images - Design Hunter. If you enjoyed this post you might also like to read my review of our stay at The Wheatsheaf Inn.